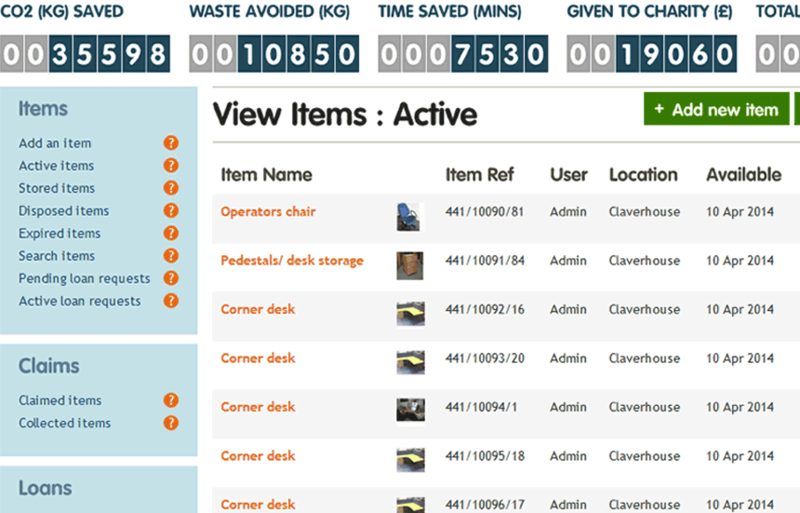 The admin can control all aspects of the system, user behaviour, access, items being traded and 3rd party activity. 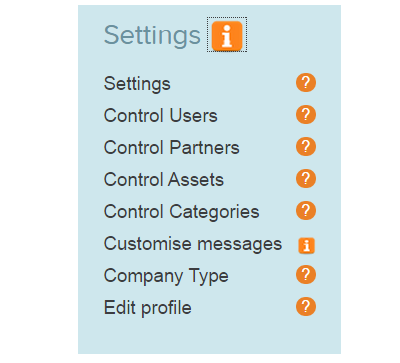 Customise the settings to fit your organisations policies and procedures. Keep track of all transactions for reporting, control and audit. 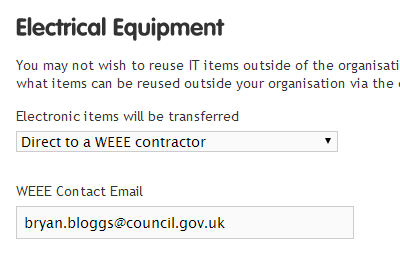 Each organisation is given their own private portal where staff can trade items. The portal can be customised with company logos. 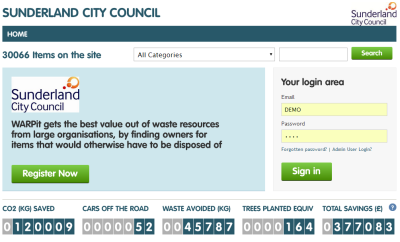 The admin sets up how the portal functions in accordance with the organisation’s policies and practices. If it is a concern, the admin can set which staff can view and claim items internally, as well as controlling how staff view items in other organisations. 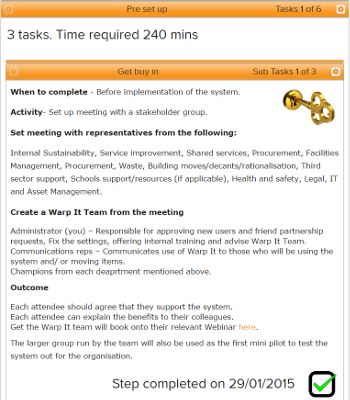 The admin can make sure staff behave in the correct manner with fully customisable notifications and prompts throughout the system. This feature also facilitates the smooth transport of items. 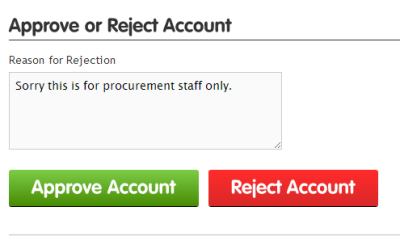 The admin can fix the settings, so that only certain categories of items are traded on the system. For example electrical items can be turned off, or just redistributed internally - reducing risk. Keep the organisation portal private for staff only, or make surplus resources available to preferred partners, or open up sharing settings to any other organisation on the system. 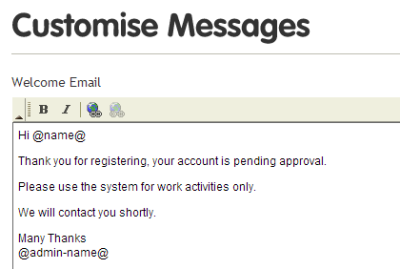 Customise automatic messages to 3rd parties to make sure they behave in accordance with policy. Click here to see a full guide to the admin capabilities. Click here to see how transfer items legally and safely. Click here to learn how the system sends custom messages. 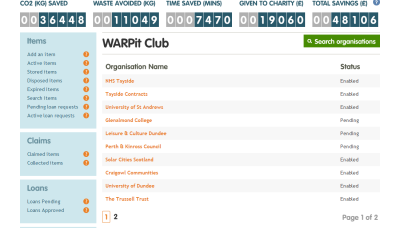 What resources are required to embed Warp It? We estimate it takes about 5 days to get Warp It embedded and at least 30 mins a month for the admin to maintain the system. We provide all of the communication materials you might need. Click here for a guide.